Do you love flashy graphics, engrossing stories and classic pokies action? You might think that it is impossible to get all three in a single package, but Betsoft would like to try to prove you wrong. Betsoft offers a wide selection of pokies in their software package, but they are best known for their slots3 line, a collection of 3D pokies that offer some of the best presentation features in the industry. These games have a look and feel like nothing else in the online casino world, making them a must try for any online pokies fan. Betsoft is a mid-sized online casino software provider: while they aren’t a household name like Playtech or Microgaming, they’re also far from obscure. The company was first launched in 1999, but truly made its name as it expanded into 3D pokies in the past decade. 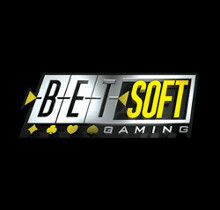 In 2012, Betsoft began expanding into the mobile market as well, with many of their most popular 3D pokies now available in mobile casinos as well. While there are a lot of different games available from Betsoft, and even many different types of pokies, the biggest point of emphasis for the company is in their 3D pokies, and that’s what we’ll spend the most time talking about here as well. These games come with a variety of different benefits, though they may not be to everyone’s liking. The biggest upside for these poker machines is in their presentation. That might sound obvious to you: if you take a look at any of these games, you’ll immediately notice that the graphics and animations are a bit above and beyond what you get in a typical online pokie. Some might even like them as much or better than the most advanced land-based video pokies, thanks to their very unique style. But when we talk about the presentation of these machines, that goes well beyond the flashy animation style. These games also feature a great deal of quality voice acting and some real effort that goes into fleshing out the characters of the games and the plots of each poker machine. Yes, we said plots: many of these games have legitimate stories that are entertaining in their own right, especially when it comes to their bonus rounds. That’s not to say that Betsoft pokies aren’t without their drawbacks. Some players may accuse these games of featuring style over substance, and they have points to back this up. Betsoft pokies don’t offer the huge linked jackpots seen on many other company’s progressive jackpot machines, with jackpots of more than $100,000 being very rare. Experienced players may also dislike the lengthy animated sequences and plot elements; if you just want to get down to business and play quickly, those popular features might instead be a negative for you. The Slotfather: The Slotfather takes the classic mafia tale of The Godfather and combines it with what we’re all here to play: pokies! On this machine, you’ll meet a host of criminal gang members that will rope you into a number of different special features, including a bonus round where you’ll place pokies at locations around a fictional city, then meet up with the Slotfather himself to collect your share of the profits. Mamma Mia: Have you ever dreamed of owning an Italian restaurant? In Mamma Mia, you can live out that fantasy, tossing ingredients and dealing with food critics. There’s an interesting feature that allows you to lock in wild symbols (provided you’re willing to pay for them), as well as a free spins round that allows you to play on an entirely different reel covered with pizza-themed symbols. Vegas: Some pokies players occasionally like to play other games as well. But why settle for just one or the other? In Mr. Vegas, you’ll take on the role of a high roller, playing a variety of different casino games. There are a number of different casino favourites hidden in the game’s bonus rounds, including roulette, poker, and even a smaller three-reel poker machine that provides an amusing game within a game. Rock Star: Featuring a fake rock song with hilarious lyrics, it’s hard not to have fun playing Rock Star. You’ll navigate a set of reels that feature all of the symbols of musical success, from band members to groupies and magazine covers. You’ll also have the chance to move into a bonus round that is reminiscent of rhythm music games like Rock Band. Jekyll and Mr. Hyde: In this pokie, you’ll navigate your multiple personalities in an effort to collect potions and earn your way into some exciting bonus rounds. During the main game, you’ll build up red potions until you collect enough to turn into Mr. Hyde, at which point you’ll activate a free spins game that can potentially last for a very long time – you’ll only turn back into Dr. Jekyll when you collect a dozen blue potions, ending the free spins mode.